September 16, 2017 New Zealand team pose after defeating South Africa. AUCKLAND - All Blacks coach Steve Hansen was reluctant to state it explicitly, but the 57-0 demolition of traditional rivals South Africa on Saturday was an emphatic warning to the rest of the rugby world. The world champions demonstrated they could be ruthlessly clinical in seizing scoring opportunities and at the same time be equally aggressive in defence as they consigned the world’s third best team to their worst test match defeat. Former Springboks players and coaches and their media have labelled the result as ‘shocking’ while stating the team had now reached a new low despite the fact they had been unbeaten this year until the rout at North Harbour Stadium. The All Blacks, however, did not agree and captain Kieran Read expressed surprise after the game that his side had managed to run the score up so high despite the intensity of the game. Hansen felt the side had finally put together a performance many had been anticipating all season. That could well be the case as the All Blacks dominated the match on Saturday to run in eight tries - three in the first half from long range. Prior to the game Hansen was asked if they sensed a feeling of ‘angst’ amongst the fans in the rugby-mad country following some enigmatic performances, including a drawn series with the British and Irish Lions. Hansen said on Sunday that the intensity of the side’s preparation had gone up a level as they focused on the Springboks, who had rebounded from losing eight of their 12 tests last season. Hansen added that his team, who were still relatively immature, had been tested as they battled with injuries to key players and brought in inexperienced players to fill the gaps. 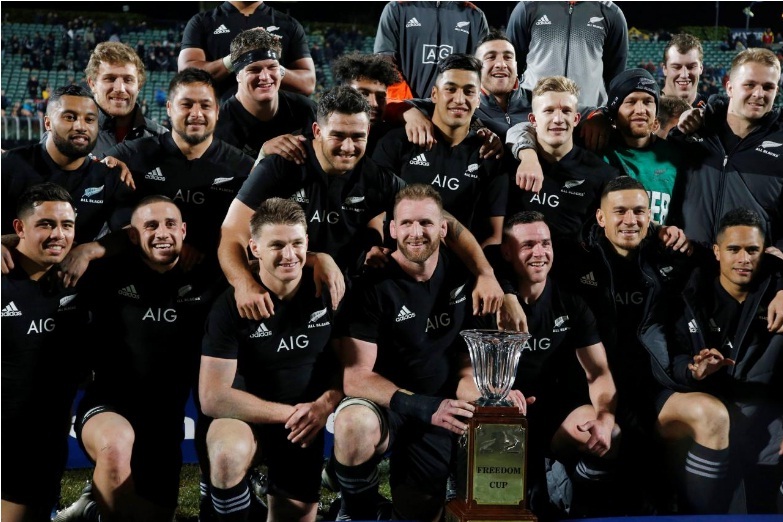 It would only serve them better in the long run as the All Blacks look ahead to the 2019 World Cup in Japan. “The big plus is that you have to expose these guys to the coal face and they have to grow up pretty quickly,” he added. ”Then when the others come back, you’ve got a bigger pool. All Blacks coach Steve Hansen was reluctant to state it explicitly, but the 57-0 demolition of traditional rivals South Africa on Saturday was an emphatic warning to the rest of the rugby world.